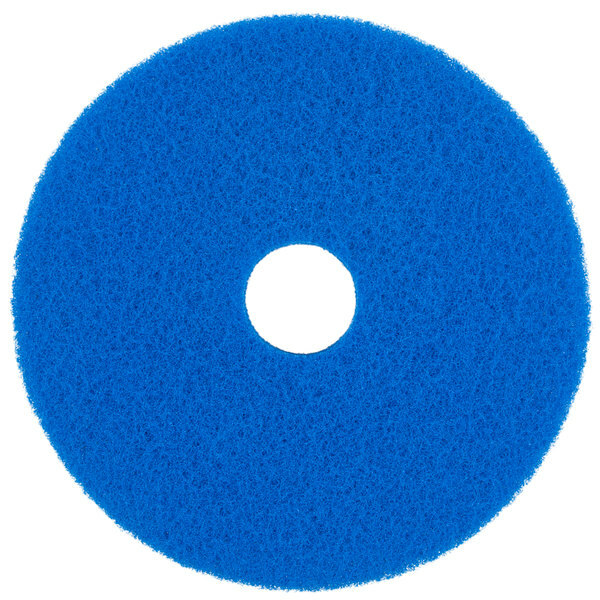 Effortlessly remove heavy dirt and scuff marks from most floor surfaces with this Scrubble by ACS 53-17 17" blue cleaning floor pad. 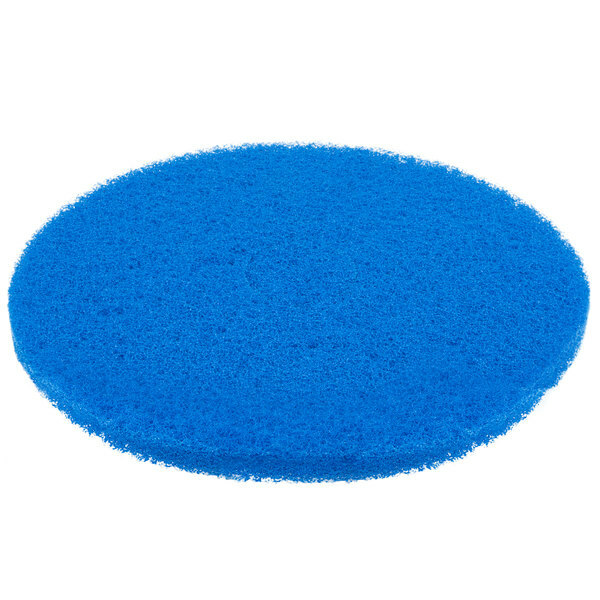 An excellent choice for wet scrubbing or medium-duty spray cleaning, this pad is suitable for smooth concrete for floors with a cleaning solution. It is designed for use with electric, battery, or propane machines operating between 175 and 300 RPM. Durable construction ensures a tough, professional clean. 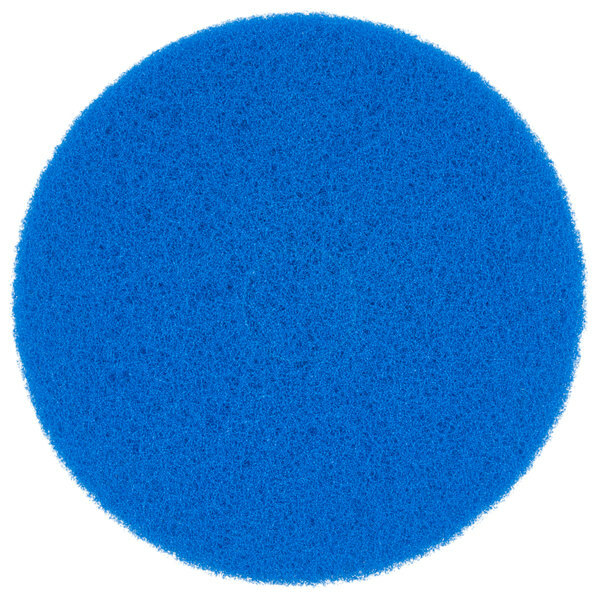 Plus, its distinct blue color makes it easy to distinguish between this pad and others in your floor care system. 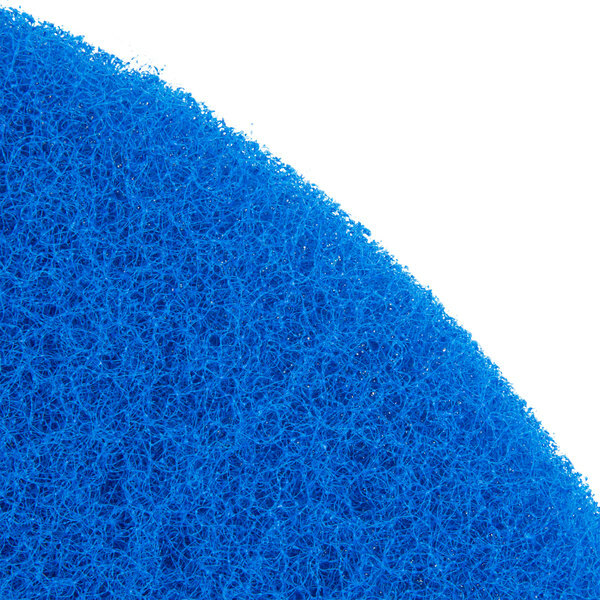 ACS by Scrubble floor pads are formulated with the proper amount of non-woven polyester, nylon fibers, and abrasive grains to achieve maximum product performance. 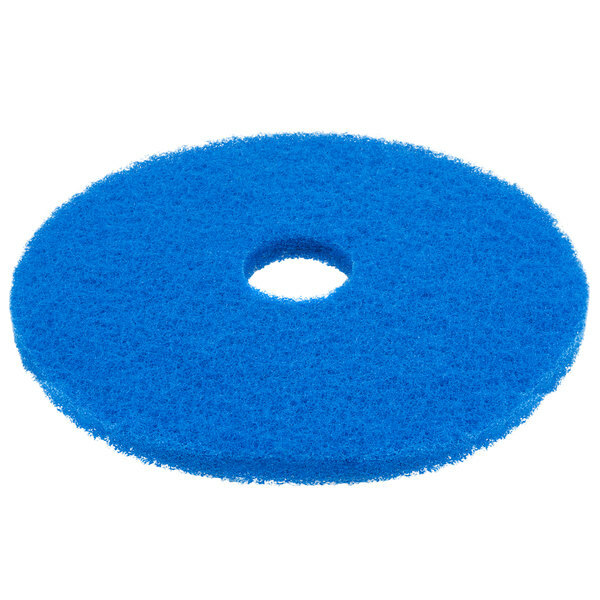 The bonding process of these fibers blended together with special resins and adhesives make these floor pads tough, durable, and consistent. This product meets specific criteria set forth by UL for recycled or renewable content.